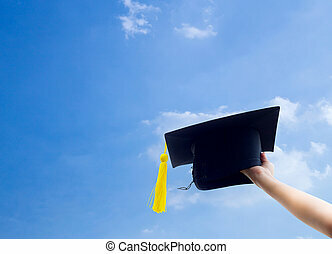 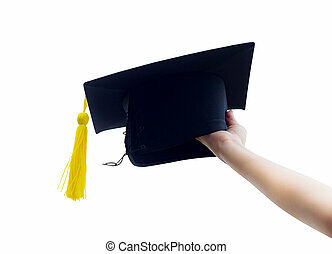 Hand holding graduation hats and diploma certificate with cloud background. 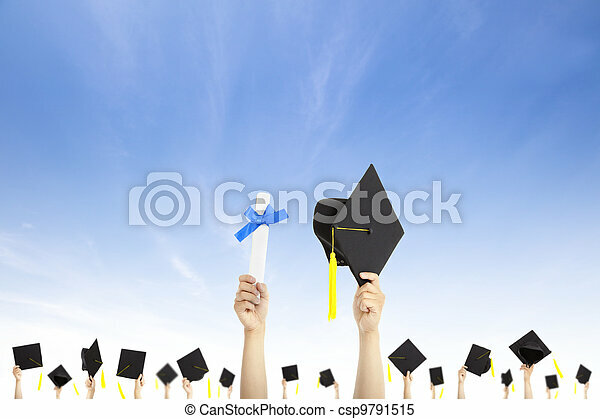 hand holding graduation hats on background of blue sky. 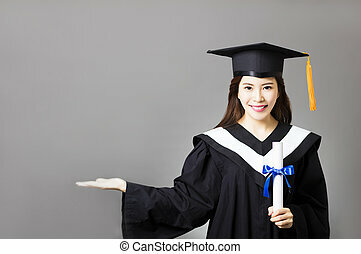 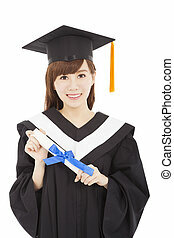 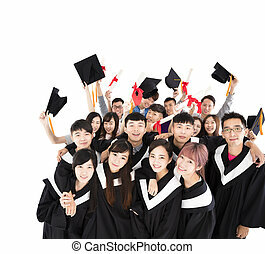 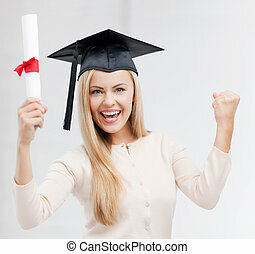 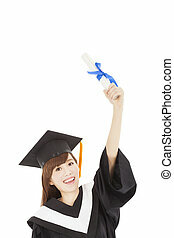 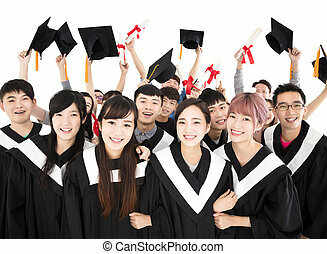 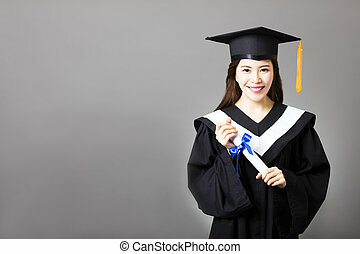 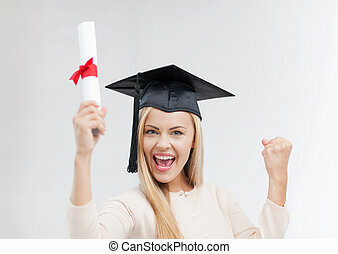 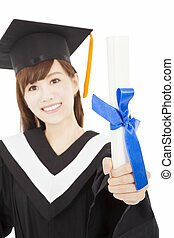 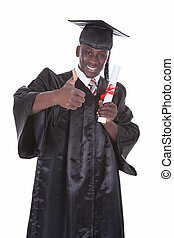 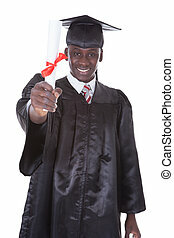 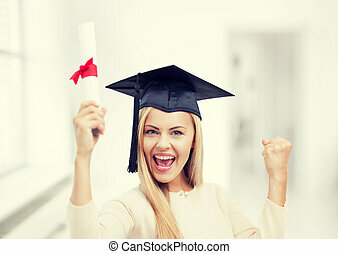 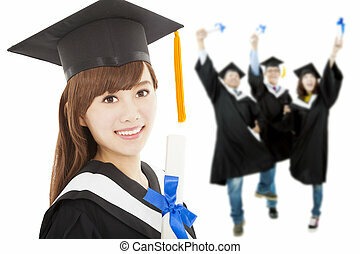 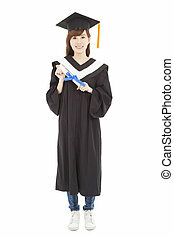 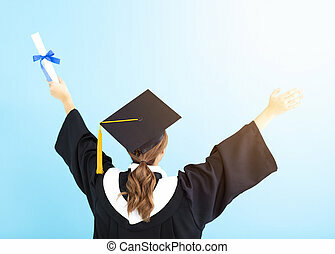 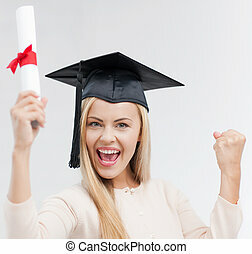 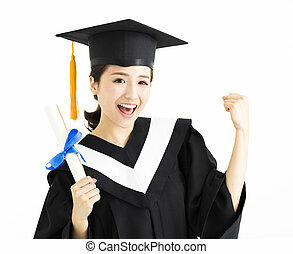 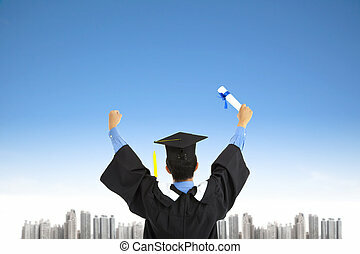 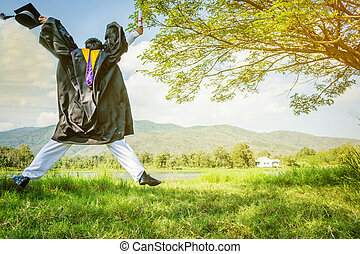 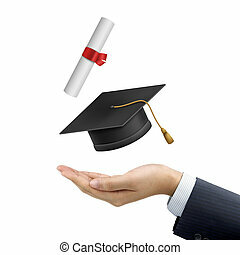 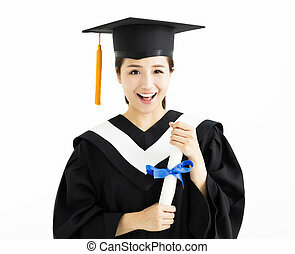 Graduation: Student standing up and jumping holding Graduation certificate with Diploma With background in the nature. 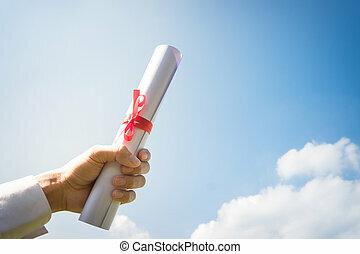 Hand holding Graduation certificate roll under the sunshine, blue sky background.